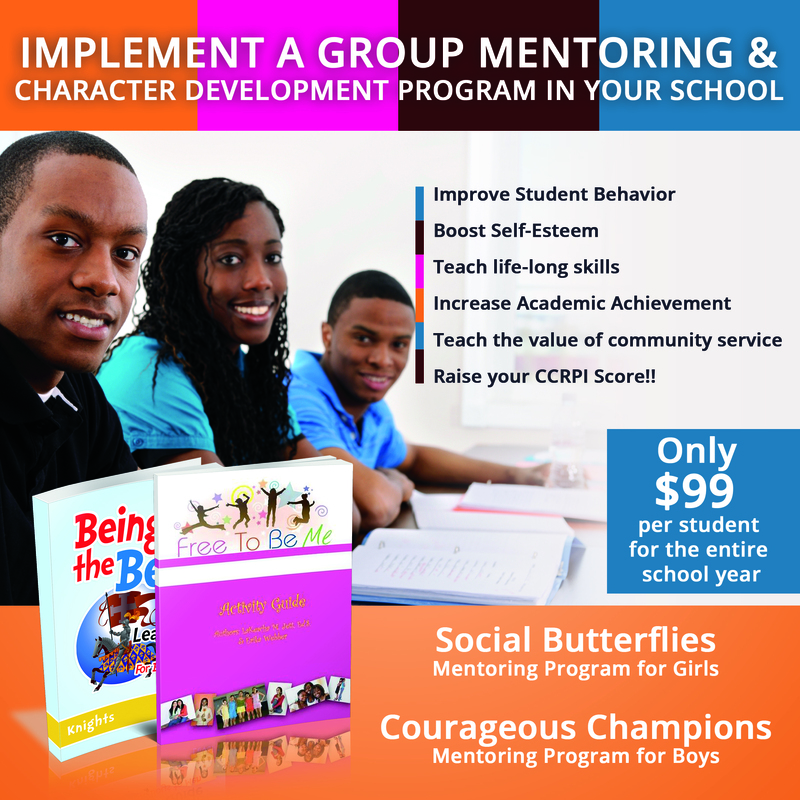 Social Butterflies Youth Services, Inc. has launched a mentoring program. It gives business leaders the opportunity to invest in the lives of girls to help them grow into confident, independent young women. 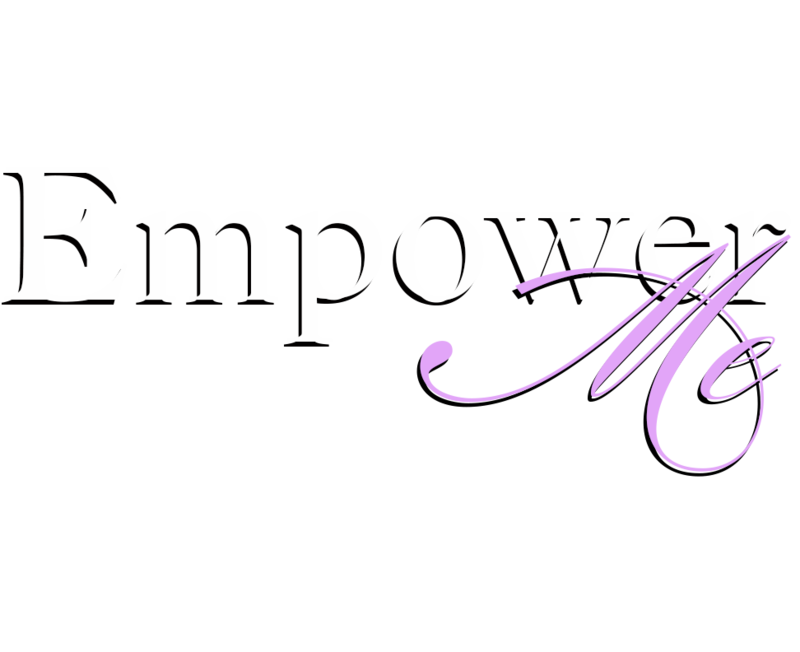 The mission of Social Butterflies, Inc. is to motivate, inspire, and empower females by promoting self-esteem. Social Butterflies, Inc. meetings take place after school for 1 hour each session. The sessions are lead by teachers, counselors or volunteers in the community. Girls follow the Free to Be Me Curriculum to learn about self-esteem, hygiene, etiquette, college and career choices and a host of other topics. 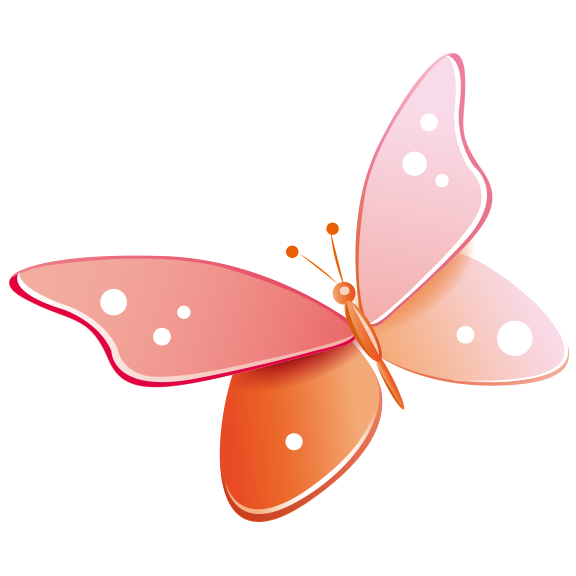 The Free to Me for Girls Curriculum is the official curriculum for Social Butterflies Program. 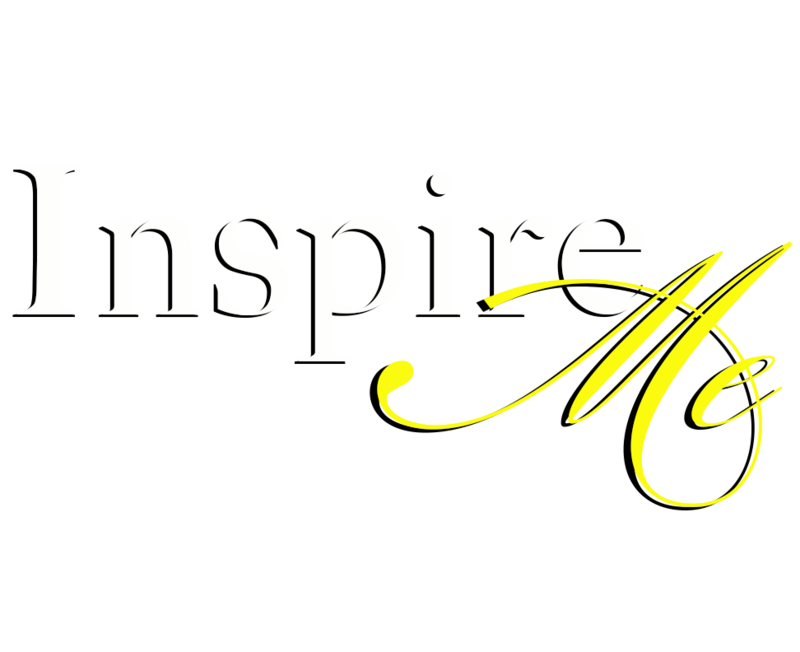 It is a complete Guide to leading ANY girls mentoring program. Alignment with National Education Standards to Alignment with Common Core Standards. 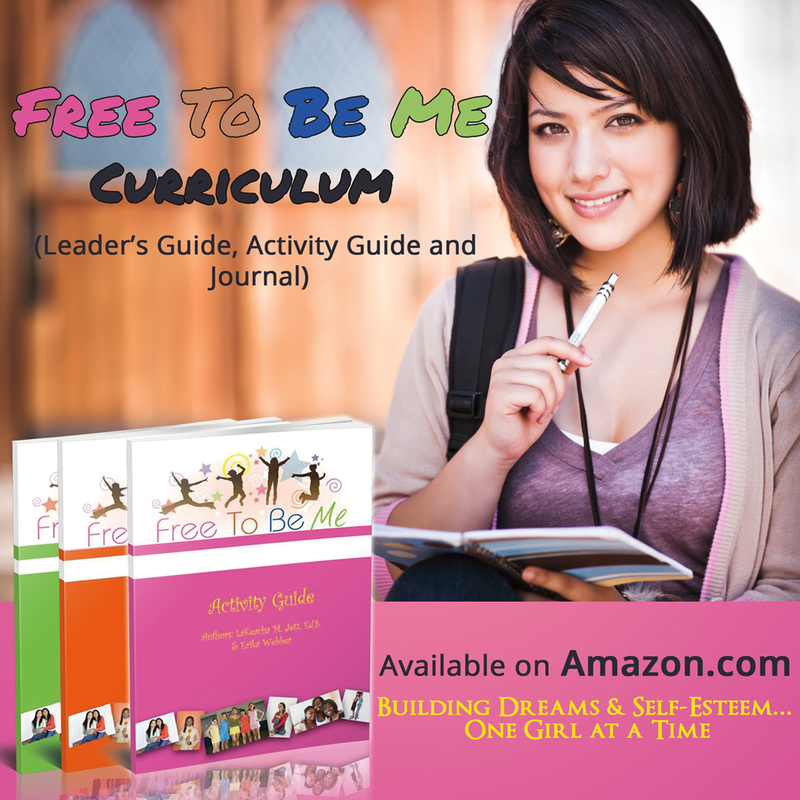 The Free to Me for Girls Curriculum is the official curriculum for Social Butterflies Program. It is a complete Guide to leading ANY girls mentoring program. 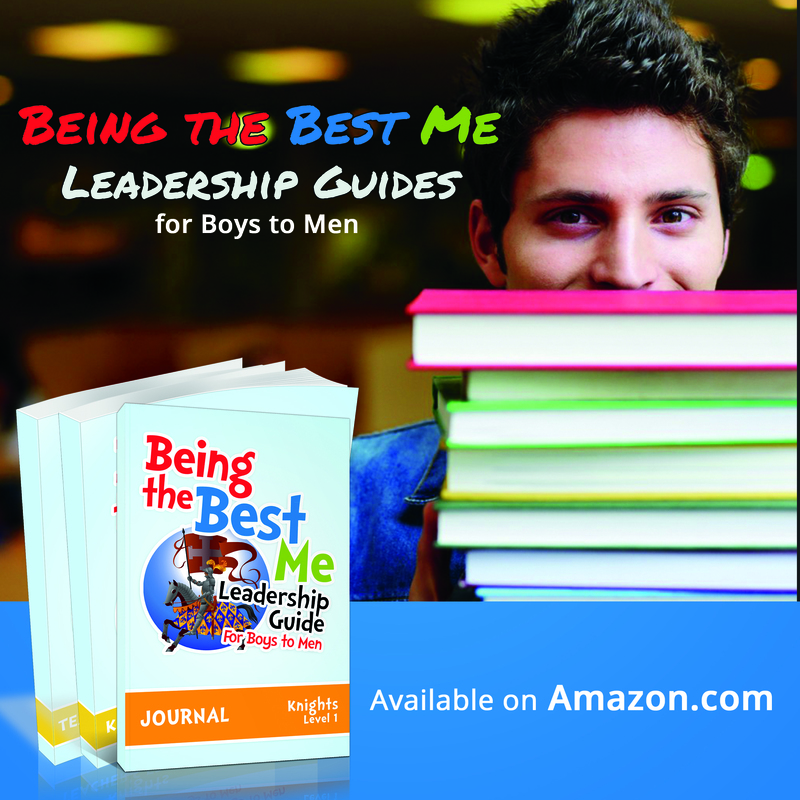 “Being The Best Me” is a leadership guide for boys in transition to becoming young men. Learn how our group mentoring program can empower students by teaching accountability, responsibility & help develop life long skills. Teach students about African American History from Africa to America. 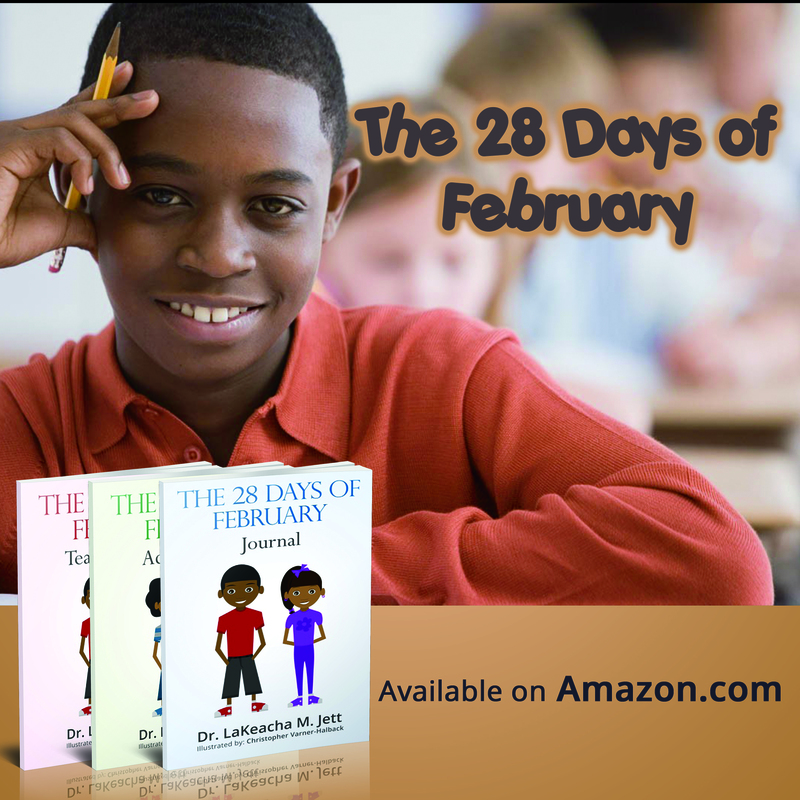 Packed with fun, educational activities to help students gain a better understanding of African American History during February or anytime of the year.